I was in Kwale, Kenya, monitoring the BioSand household water filters that Samaritan’s Purse had installed when I noticed a group of women walking down a narrow path carrying buckets. I finished checking the status of the filter in the house I had entered and then walked down the same path after the women. They were headed toward a waterhole used by most of the village. This is the source they have used all of their lives. They were going to draw water and carry it home. I saw one woman take a scoop and drink directly from the waterhole. I was curious to know if she had a filter and why she couldn’t wait until she got home and used it. 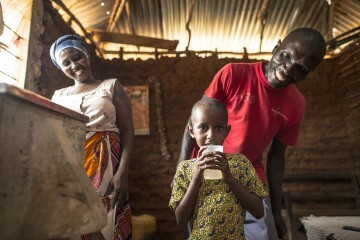 Families like this one have access to clean water through BioSand filters, which filter water through layers to remove contaminates. She must rely on one that her mother-in-law owns, but she has to wait until her mother-in-law has used it first. 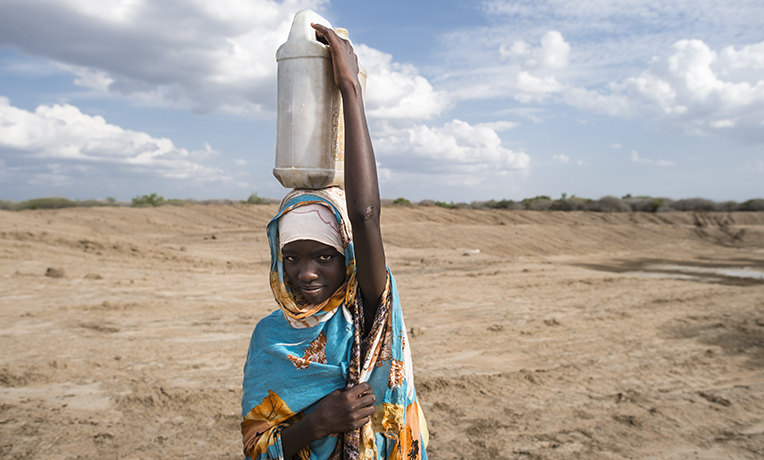 “Now that I am thirsty, if I wait until I filter the water, I will die of thirst,” she said. She comforted herself by saying that she has drunk unfiltered water since she was a child. I reminded her to treat her water even though this is the water she has always known. Although she doesn’t currently have one in her home, Samaritan’s Purse is continuing to install filters and hopes to help more people like this woman. In total, 2,400 have been installed in this district, and there are plans to extend into other areas.